SHE may have been born deaf but Vania Monsanto, 18, had played the violin at an international conference in Manila and now dreams of becoming a nurse, chef or flight attendant. In time for the observance of the National Disability Prevention and Rehabilitation Week, Vania and her mother Sonnie want to spread a message of hope for those who are hearing impaired. Six years after a small device was implanted into her cochlea, Vania is now in third year high school and has been living the life of a regular teenager. Vania, the eldest of three, was diagnosed to be deaf at two years old. The diagnosis left her mother Sonnie, a chemistry instructor at the Cebu State College of Science and Technology, and father Victor, a seafarer, disheartened. But with the financial help of Sonnie’s aunt, Leonora Barriga-Phillips, a medical doctor based in the United States, Vania underwent cochlear implantation (CI), a technology, which according to Dr. Charlotte Chiong, became commercially available in the US in 1984. Chiong is a neuro-otologist and is one of only four Filipino surgeons in the country who can perform CI. She has operated on over a hundred Filipino patients, including Vania, since 1997. She said the success rate so far is 100 percent. For the first time in Cebu City yesterday, two patients underwent CI at the Cebu Doctors’ University Hospital with the help of a team of Cebuano doctors with Chiong and Dr. Dina Reyes, also an otologist. Jascha Louise Duyo, 11, and Church Ventura, 4, became the first two Cebuanos to benefit from a more affordable operation. With her family around, Vania underwent the procedure on May 22, 2003 at the University of the Philippines-Philippine General Hospital. Vania’s abilities to hear spontaneously through her left ear and play the violin are phenomenal, considering she was implanted late, Chiong said. Doctors encourage early implantation or preferably from 12 months to two years old to produce the best and almost natural results. While more patients avail themselves of CI, Sonnie is at the forefront of support group meetings with parents of children with cochlear implants to share them her story of hope. Sonnie estimated that they spent more than a million pesos for the operation, the device and its processor, doctors’ fees, medications, hospitalization and travel expenses during Vania’s operation. But Chiong said a family’s commitment ensures the success of a CI patient. “A determined family, including the extended family, produces the most successful kids,” she said. Sonnie and Victor said they also made sure Vania’s siblings understood what she was going through. The couple had opted to have Vania use a hearing aid and enrolled her at the Gualandi Preparatory School for the Hearing Impaired. In 1997, she was transferred to a mainstream school, MZed Christian School. She learned sign language on her own years later. To ensure full guidance, Victor stopped going on board international ships when Vania was five. He and Sonnie, who also resigned from work, decided to be with their three children through their formative years. Published in the Sun.Star Cebu newspaper on July 15, 2009. 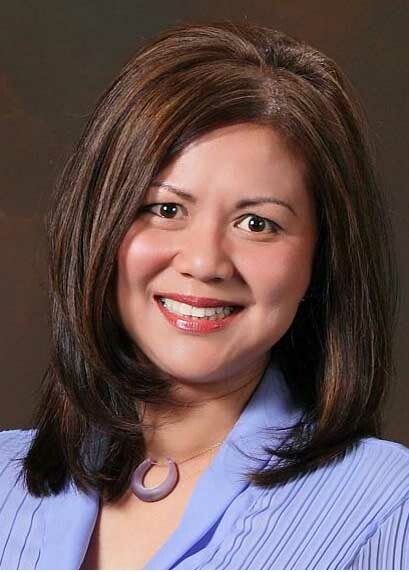 Former DAUSA Vice President Candy Canga-Picar, got a big surprise in her professional life, when a Nurseweek representative contacted her yesterday, July 6, 2009, breaking the news she has been selected as one of 5 finalists in the 2009 California NurseWeek Nursing Excellence Awards. Candy Canga-Picar, RN, MBA, who just got married 2 months ago, is currently Manager of Surgical and Nursing Support Services, Memorial Hospitals Association,in Modesto, California. NurseWeek, publisher of Nurseweek Magazine, the leading source of local and national nursing news, sent an email to Candy announcing “You are a finalist in the 2009 California NurseWeek Nursing Excellence Awards. “You were nominated by a colleague for this award, which is a honor in and of itself, and your nomination was selected by our panel of expert judges through a blinded review process to be a finalist in the Management category. “We will honor you and the other finalists at the Awards gala which will be held on Friday,September 25, 2009 at the Hyatt Regency Orange County in Garden Grove,CA.